A nice rally in the euro today. But what continues to bother us is the idea of a deflationary bust scenario taking hold of sentiment. In such an environment, the dollar should do well. 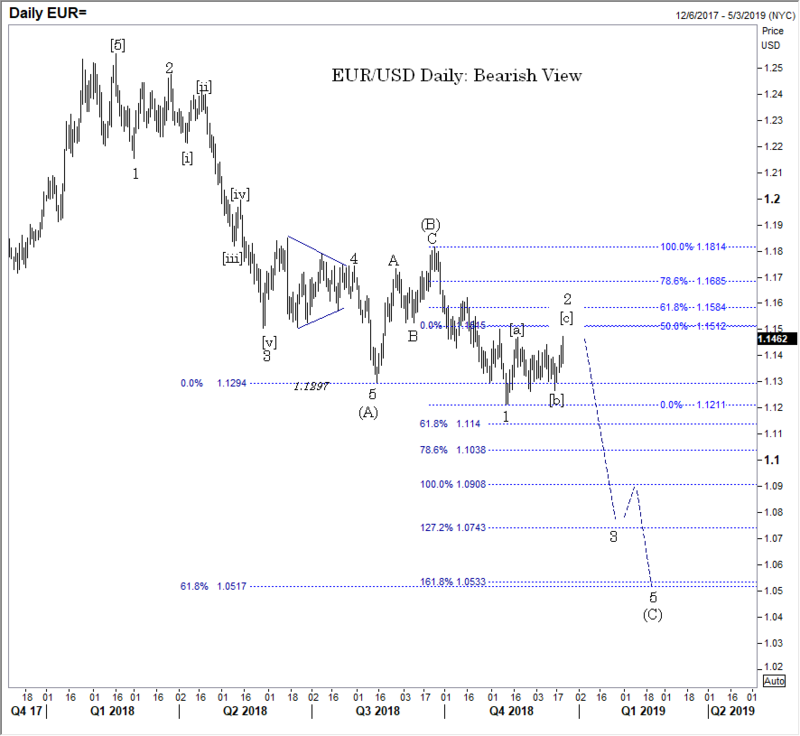 So we continue to warm to the bearish view on euro. Below is our latest bearish alternative setup. Note: Today is a four day rally in EUR/USD; in this messy pattern the rallies have been about five days in duration. So, watching price action tomorrow for a possible short setup. But, confidence in here is not great to say the least. Also, USD/JPY moved to what we had as a key level. To be posted…and it doesn’t look like we will finish the Currency Currents posting, sorry. We will have that tomorrow. A look at this deflationary idea and how a US recession seems to be in the cards. And keep in mind, the US dollar does well in a deflationary environment.